Join us as we will present an engaging photo history of people, properties and happenings on the southern stretches of Parkdale and Fairmont Avenues, going back more than 100 years. This event starts at 7 p.m. at St Stephen's Presbyterian Church, 579 Parkdale Avenue (at the corner of Sherwood Drive). Donations Welcome. 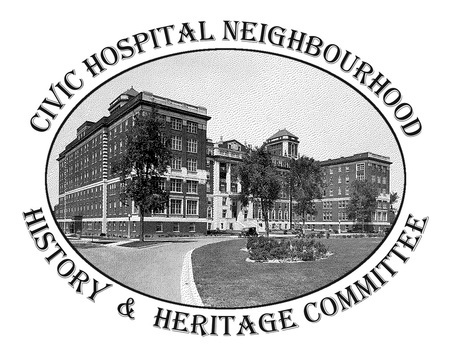 Navigate through the significant events that occurred around the Civic Hospital neighbourhood over the last two centuries. Click the arrows or swipe left and right to navigate the timeline. You can also use the markers below to skip to a specific event, zoom to a desired date range or go back to the start or the timeline. The timeline is also available in PDF format. We are using a unique tool called Historypin to map the history of our neighbourhood. On the map below, click on a pin or a number representing multiple pins to view a photo and find more information on that location. Click here if you wish to open our Historypin page in a new window. To learn how to view our content on Historypin, we invite you to watch the following video. We also encourage you to contribute to our collection! Watch this video on how to add pins to our Historypin page. The former Reid farm is at the center of today's CHNA and in many ways, has shaped our neighbourhood. The following is inspired from a presentation given on June 1st, 2017 during a CHNA history night. Learn about interesting topics researched by fellow historians! Want more? Have a look at our Reference List for more historical websites.